An assortment of colored wires: you know it's a beautiful thing. Five different colors of solid core wire.Sit this on your workbench and stop worrying about having a piece of wire around! 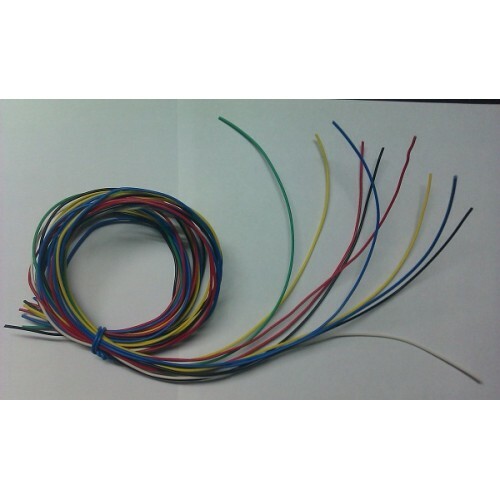 Standard 22 AWG solid hook up wires. Use this with your breadboard or any project in which you need sturdy wire. Colors are Red, Blue, Yellow, Green, Black.